Great Reads Book Club is an adult reading/discussion group sponsored by the Friends of the Macomb Public Library. It meets from September through May (except for November and December) on the second Wednesday of each month at 7:00 p.m. 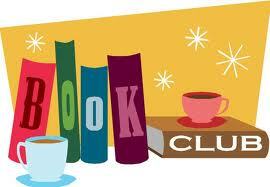 The book club will meet at the meeting room in the library. All interested readers are invited to attend. Members are encouraged to read the scheduled book before the meeting to make the discussion more meaningful. This is an organization with no dues, no officers, no by-laws and just one purpose—reading and discussing good books. July 11: “The Nix” by Nathan Hill. Discussion led by Tom Joswick. Joint meeting hosted at Kim Cunningham’s starting with pot luck at 5 p.m.
September 12: “When Breathe Becomes Air” by Paul Kalanithi & Abraham Verghese. Discussion led by Kim Cunningham. October 10: “Mudbound” by Hillary Jordan. Discussion led by Sandy Shearer. November 14: “Destiny of the Republic: A Tale of Madness, Medicine and the Murder of a President” by Candice Millard. Discussion led by Morris Vos. January 9: “Killers of the Flower Moon: The Osage Murders & the Birth of the FBI” by David Grann. Discussion leader Polly Upton. February 13: “A Gentleman in Moscow” by Amor Towles. Discussion led by Mary Elizabeth Vos. March 13: “Little Fires Everywhere” by Celeste Ng. Discussion led by Mirian Swisher. April 10: “The Great Alone” by Kristan Hannah. Discussion led by Becky Parker. May 8: “Before We Were Yours” by Lisa Wingate. Discussion led by Alice Davenport. At the March meeting members nominate books for the next year and vote on the nominees at the April meeting.